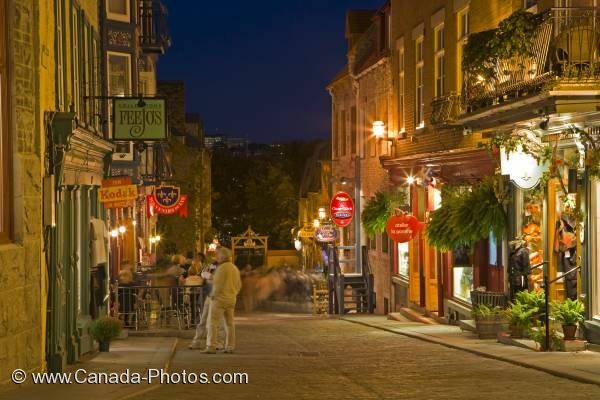 People eat at the restaurants and browse through the shops along Rue Sous Le Fort in Old Quebec City, Canada after the sun goes down. The Rue Sous Le Fort is very romantic at night with the lights aglow as the low murmur of people take in the tranquility of the street. Picture of the night lights outside the shops along the Rue Sous Le Fort in Old Quebec in Quebec City, Canada.